Samsung Electronics was recognized as the most active supporter of European startups at an official ceremony of the Startup Europe Partnership (SEP) Corporate Startup Stars, a pan-European award to honor the most proactive corporate supporters of Europe’s young companies, held recently in Brussels, Belgium. Startup Europe Partnership is a platform established by the European Commission in 2014 with an aim to scale up Europe’s startups through strategic partnerships with global corporations. Two of SEP’s founding partners, an open innovation advisory firm Mind the Bridge based in Italy and the United States and a British innovation foundation Nesta, hold the SEP Corporate Startup Stars annually to showcase the best models of corporate-startup collaboration. SEP Corporate Startup Stars Awards has seven award categories including ‘Accelerator’, ‘Procurement’, ‘Investment’, ‘M&A’ and ‘Open Innovation Approach’. 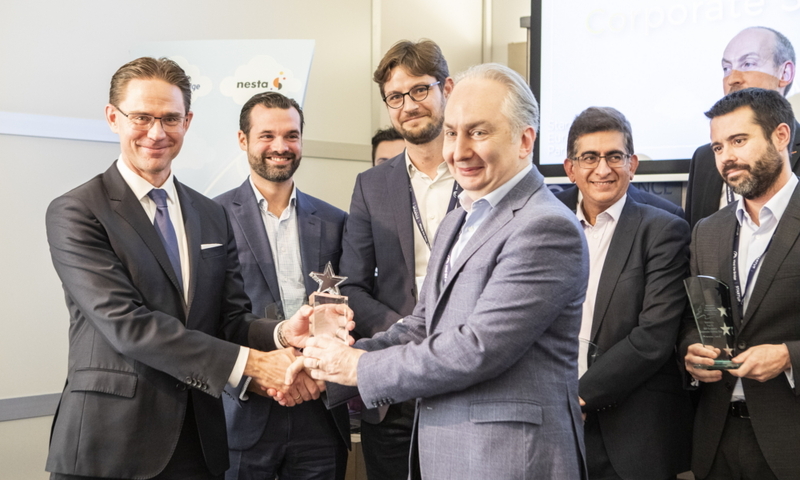 Among these, Samsung ranked first for the highest award – ‘SEP Europe’s Corporate Startup Stars’ – this year, acknowledged among local startups in the continent as the friendliest and the most rigorous supporter in terms of company acceleration, procurement and investments. In Europe, Samsung has been engaging with startups in ways that are uniquely tailored to each market – accelerating the development of innovative products and services in industries such as cybersecurity, healthcare, retail, banking, logistics, mobility, real estate, and education. It is Samsung’s plan to foster even deeper relationships with the innovation community through knowledge exchange, strategy discussions, deal flow presentations, and collaborations with companies funded through a variety of investments and commercialization efforts. Samsung will continue moving forward to strengthen and create more partnerships with startups across the world.